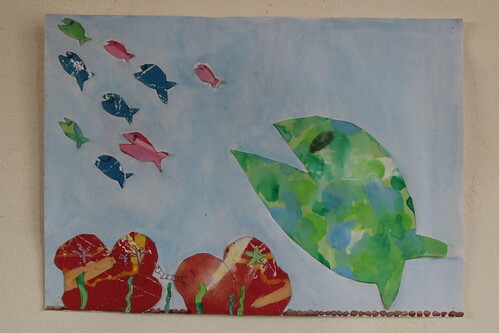 It has been summer vacation in an elementary school from last week. So my daughters carried their works home. These are my oldest daughter’s works. This is wood craft. 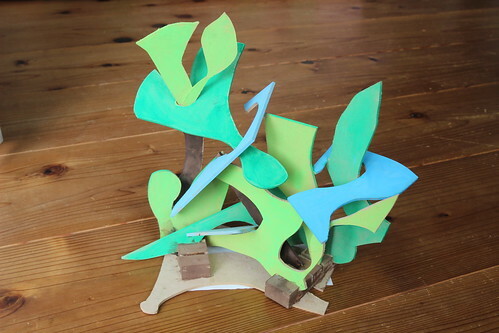 They show trees, leaves, wind and river. It becomes hot day by day here. We like to eat cold cuisine during the summer. 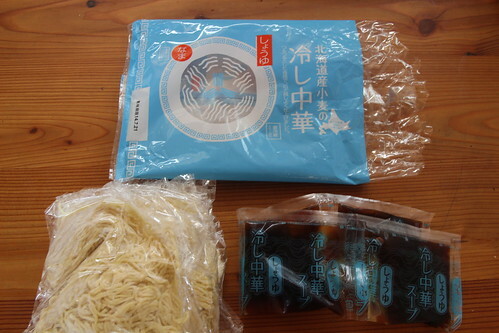 One of famous food in summer is cold Chinese noodle. 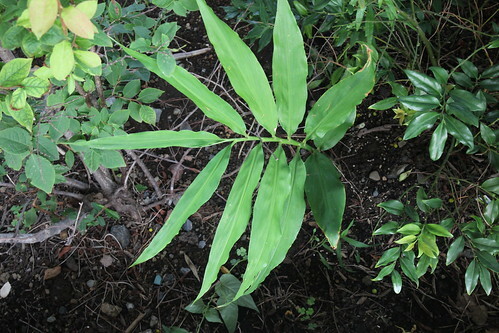 ( 冷やし中華 hiyashichuuka ). I often cook it at home. I cooked this noodle today. 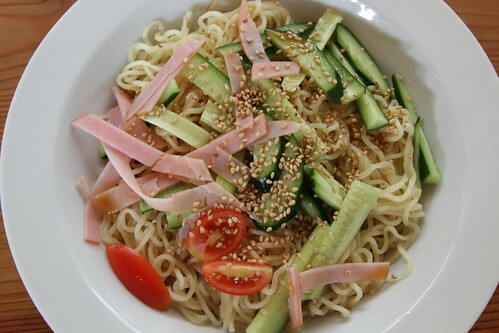 I added cucumber, sesame, ham and tomatoes. The vegetables are from my garden The other basic ingredient is fried thin eggs on the noodle. The soup tastes a bit sour. 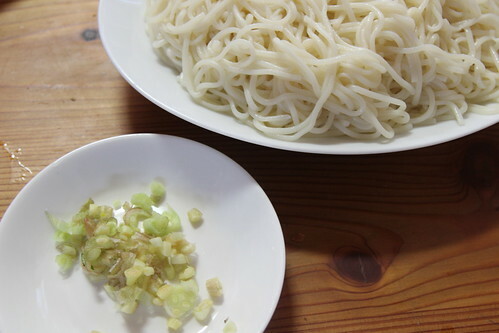 When summer arrives, Japanese people want to eat this noodel. I usually cook lunch and dinner in weekend. 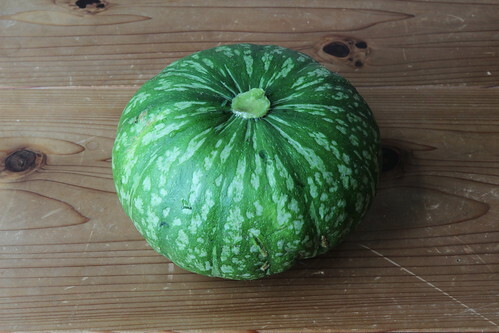 As I wrote, there are some kinds of vegetables from our garden. So I use them for cooking. 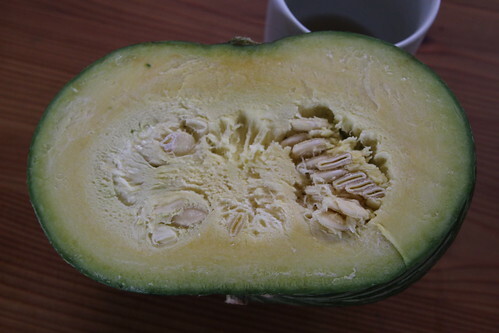 This is inside of the pumpkin.The color is less yellow than I expected. 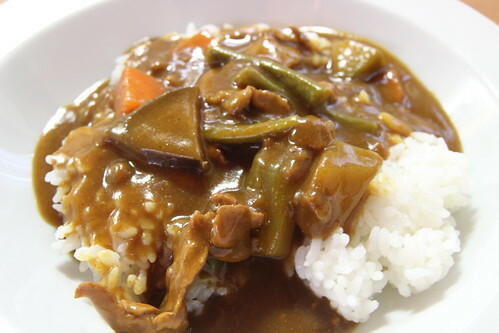 This is summer curry which includs egg plants, pumpkins, green peppers and green bean. The taste sounds more healthy than usual. 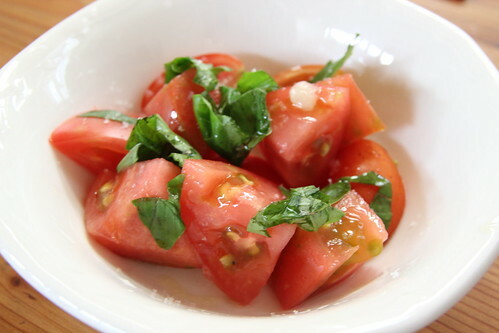 This is bussile tomato salada. 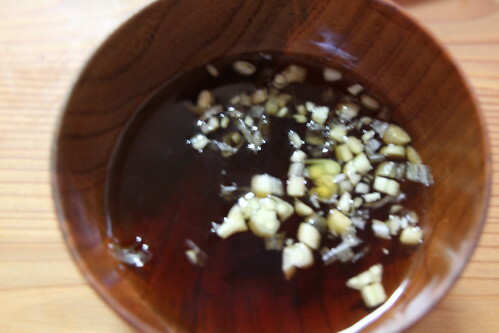 I added olive oil, salt and vinegor. The taste is Italian. There is a cooking class in an elementary school. My oldest daughter, 10 years old, learns how to cook basic dish. She wants to try the skill at home. 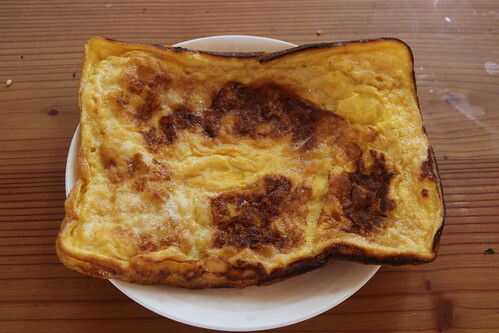 This is her favorite recipe, thin fried eggs. It tastes sweet because of sugar. This is a bento for me. 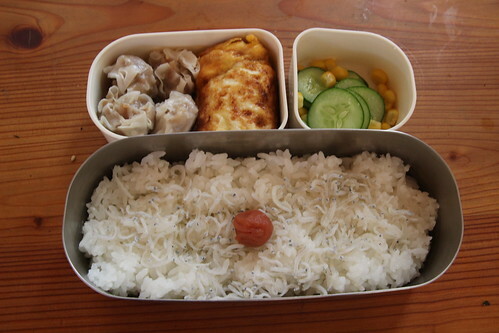 It’s first time that my daughter cooked my bento by herself. The taste of this bento is priceless. 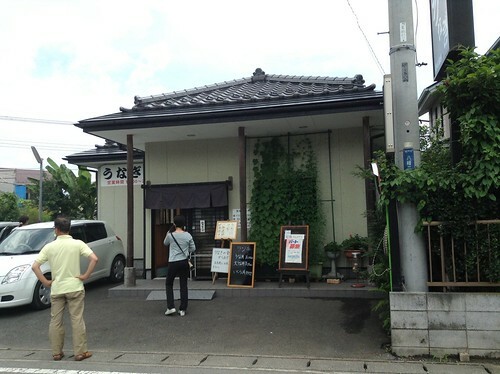 My family and I visited this Eel( in Japanese, Unagi ) restaurant last weekend. 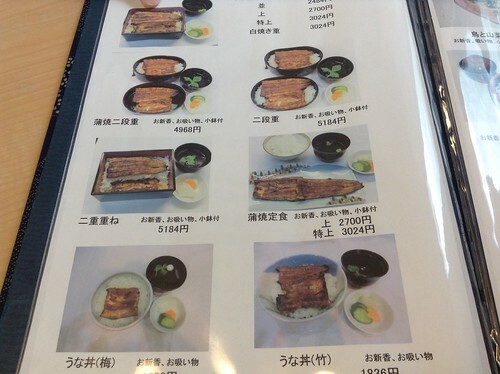 This is a lunch menu. The price is more reasonable. 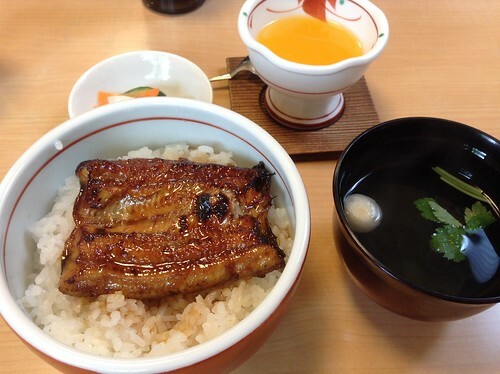 We ate this lunch eels set. 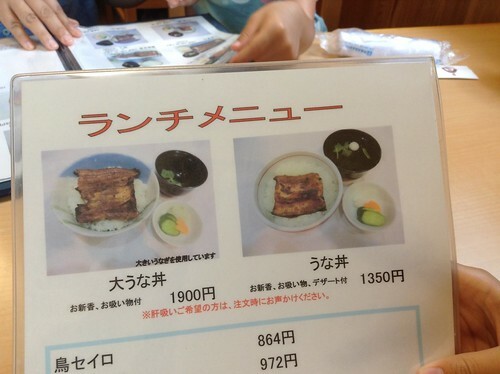 It includes pickled vegetables, Japanese soup and orange jello. The taste was really good. 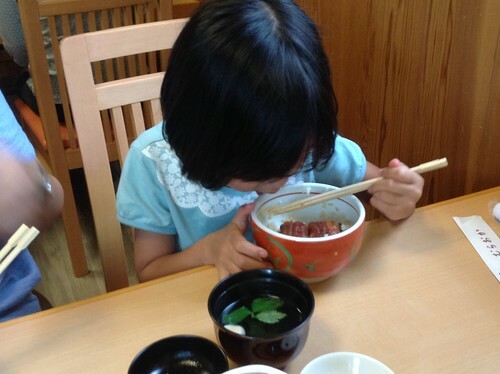 My youngest daughters also love to eat eel. 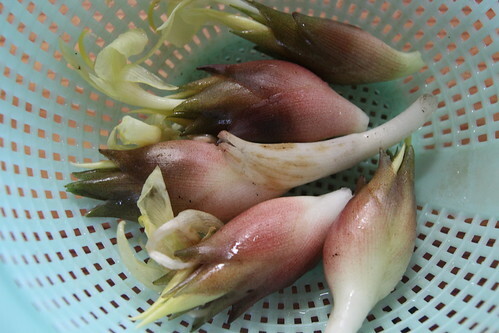 Finally, I gathered the vegetables in the garden. This is a large pumpkin. 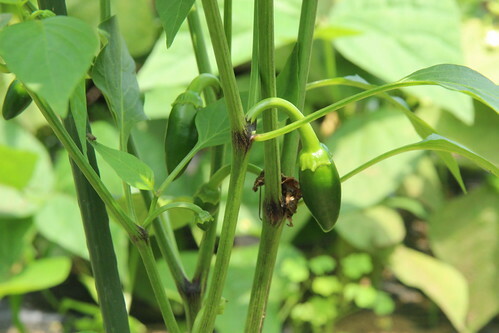 This is a tiny green pepper.This kind is much smaller than usual one in Japan. 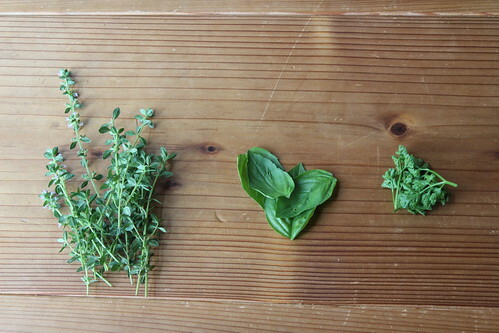 These are mint, bassile and parsley. I made the cocktail(mojito) with mint. 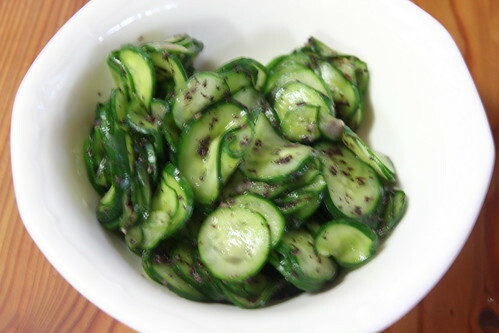 It’s worth to eat vegetables made by yourself. 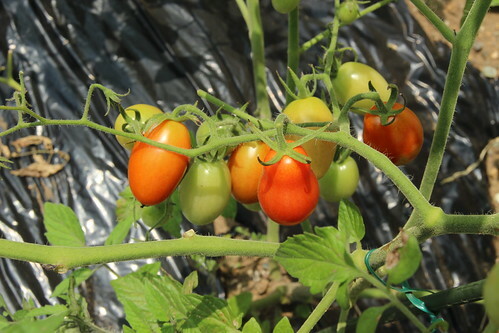 Posted on July 5, 2014 September 21, 2015 34 Comments on Gathering Vegetables.